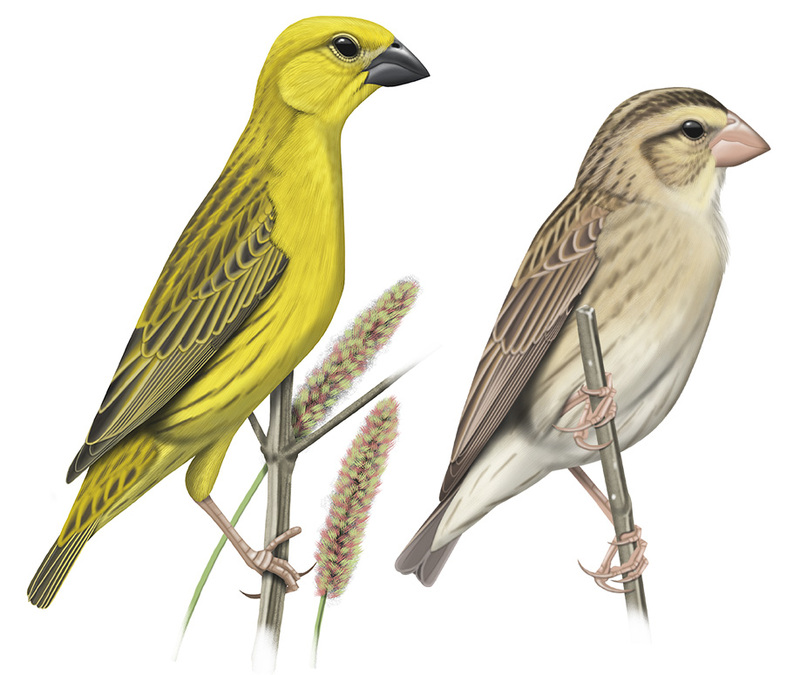 LEFT: The male Cuckoo Finch (left) is an attractive, brilliantly yellow beast, with a massive, sharply angled black bill capable of inflicting serious damage on grass seeds or human fingers. 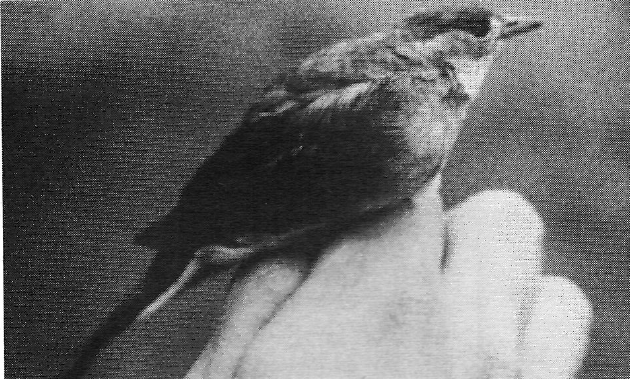 Although it more closely resembles a weaver or canary, it is actually related to the whydahs and indigobirds, and is now classified in the family Viduidae. All these deceitful little birds are obligatory brood parasites, which means that they delegate the duties of raising their young to other bird species, termed hosts. The female Cuckoo Finch (right) is far duller, and is inconspicuous, easily overlooked and not properly illustrated in most bird books. The resemblance between a female Cuckoo Finch and a female bishop or widowbird is remarkable – but is this more than coincidence? A new research paper by a team of scientists working in southern Zambia suggests that Cuckoo Finches may be deliberately mimicking harmless bishops. Illustation by Faansie Peacock. Unusual, beardless finch. This is the apt but understated meaning of the Cuckoo Finch’s scientific name, Anomalospiza imberbis. 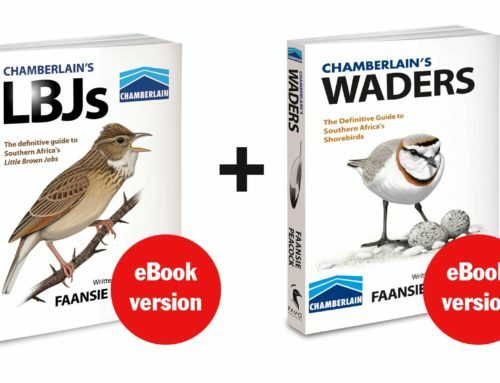 This unique African endemic is indeed unusual in many ways – that much has always been clear to taxonomists and birders alike. For a start, to which family does this species belong? This has been long debated, and the answer is rather complicated (or perhaps it’s a trick question). The species was originally described as a canary in 1868, but was later reclassified as a weaver; this is reflected in its widely used alternative name of Parasitic Weaver. Today we know better. Not surprisingly considering that it is an obligatory brood parasite (like cuckoos and honeyguides), modern classifications place the Cuckoo Finch in the family Viduidae, along with the parasitic whydahs and indigobirds. Similarities shared by the Cuckoo Finch and the whydahs/indigobirds include fundamental anatomical aspects, while differences are mainly behavioural. Many of the differences are attributable to differing life strategies, e.g. Cuckoo Finch chicks do not have palate markings because its cisticola and prinia hosts do not; and likewise, Cuckoo Finch eggs are not plain white because they need to match the eggs of its hosts. Viduids and their hosts – typically waxbills and other small seed-eaters from the family Estrildidae – are undergoing a constant ‘evolutionary arms race’. The parasite benefits in that it can delegate the costly duties of raising young onto another species. However, raising the offspring of another species, usually at the cost of sacrificing its own chicks, is obviously a great disadvantage to the host, which therefore has evolved a number of defensive strategies. This adaptation and counter-adaptation between parasites and their hosts is, in my opinion, one of the most fascinating aspects of natural history. 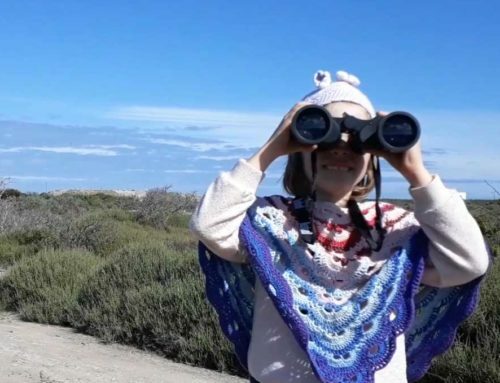 Recently a team of ecologists and ornithologists from the Australian National University in Canberra, the universities of Cambridge and Exeter in the UK, and the Percy Fitzpatrick Institute at the University of Cape Town, have teamed up to investigate such phenomena further. The research team is headed by Claire Spottiswoode, who for a number of years has split her time between Cape Town, the UK and the savannas and swamps of southern Zambia. Claire and her colleagues have already produced a number of incredible research papers on the hitherto poorly understood interactions between parasites and their hosts. 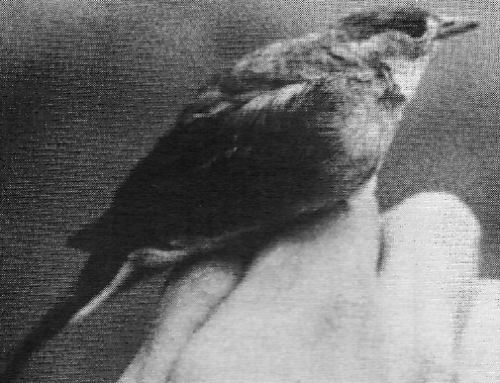 Much of their research has been focused on the Cuckoo Finch (the parasite) and the Tawny-flanked Prinia Prinia subflava (the host). Now they’ve tackled a new question. It is well known that parasites use so-called ‘aggressive mimicry’ i.e. imitation of a harmless model, to deceive their hosts. 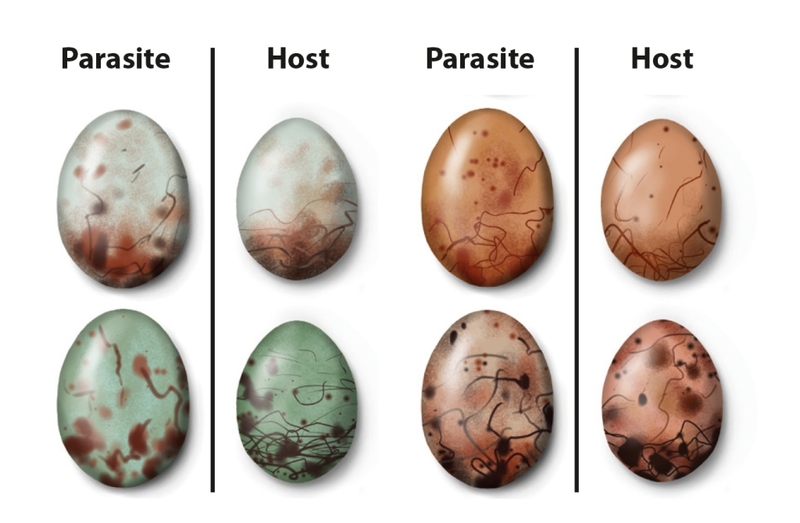 For example, parasites (in this case the mimics) will attempt to match their hosts’ eggs so as to avoid the host detecting and ejecting or destroying their foreign egg. In the same way, the chicks of parasites typically match their host siblings in terms of markings on the tongue and palate, and the postures, movements and calls employed while begging for food from their parents. What Spottiswoode et al. 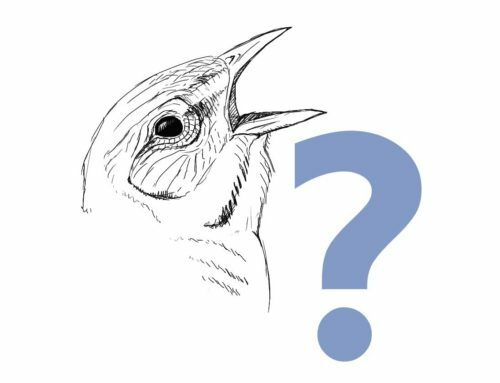 were interested in, is whether such aggressive mimicry extends to all stages of the reproductive cycle in the Cuckoo Finch, and specifically in terms of the appearance of adults. 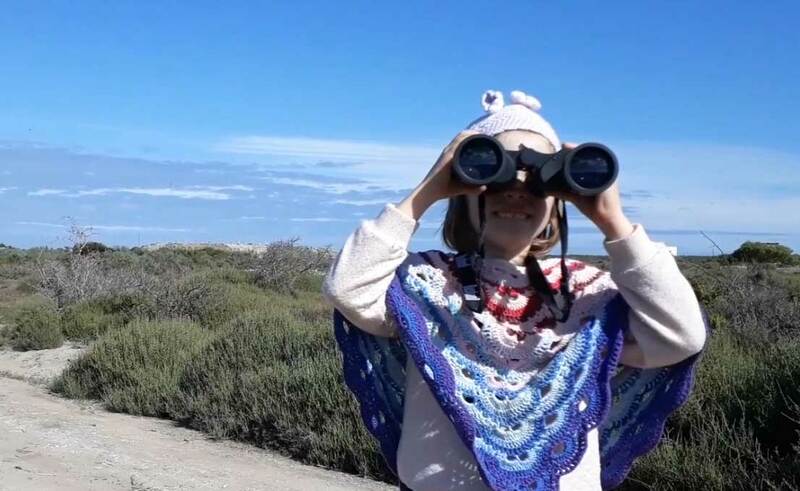 Identifying a demonstrative male Cuckoo Finch is not too difficult – although they are still frequently confused with weavers or canaries by unwary birders. However, females are a very different story. 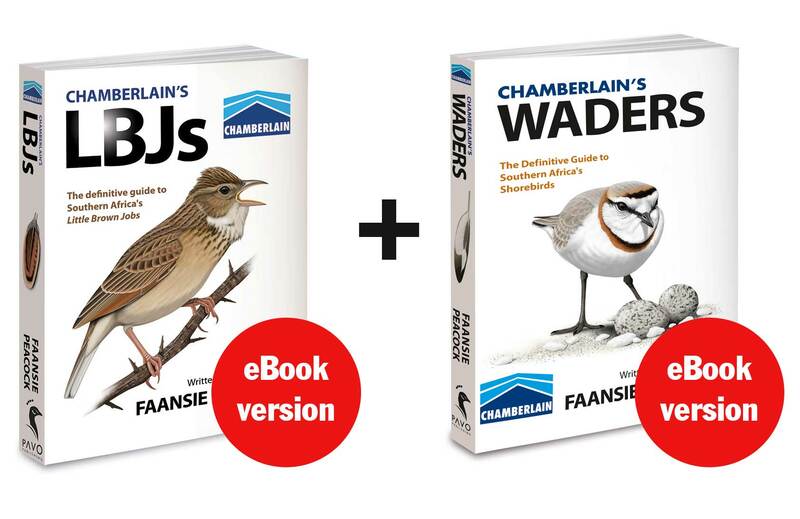 For a start, I have yet to find any southern African field guide with a decent illustration of an adult female Cuckoo Finch (my own book excluded 🙂 of course). The books tend to show only the brilliantly yellow males and the orange, scalloped juveniles. 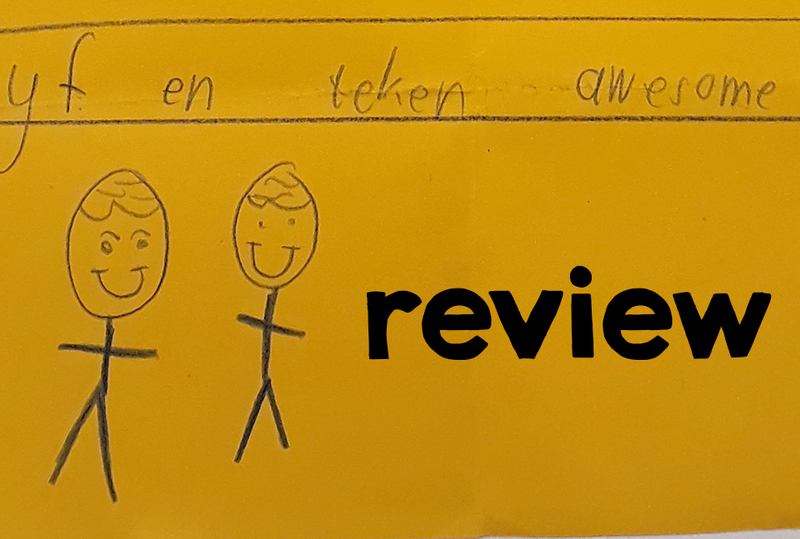 For example, in the latest Sasol book the gender symbols of the two illustrations have been accidentally swopped; and the more orange one is a juvenile, not a female. Part of the problem is that female Cuckoo Finches can look almost identical to bishops or widowbirds, and are easily dismissed as such, especially as they sometimes forage together in mixed flocks. 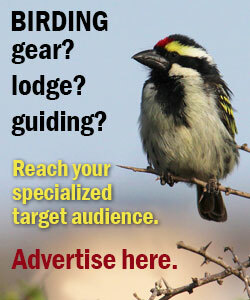 The most reliable feature to look for is the Cuckoo Finch’s short, heavy, deep-based bill. Juveniles can confound the unsuspecting as they may be seen being fed by their (much smaller) cisticola or prinia foster-parents. Juveniles are similar in structure to adults, but have 2-toned bills and neatly scalloped or scaled, rich orange-brown upperparts. But why this similarity between cuckoo finches and female Euplectes bishops? Does this imply evolutionary relatedness or convergent evolution due to similar selective pressures? Or is there something more sinister afoot? 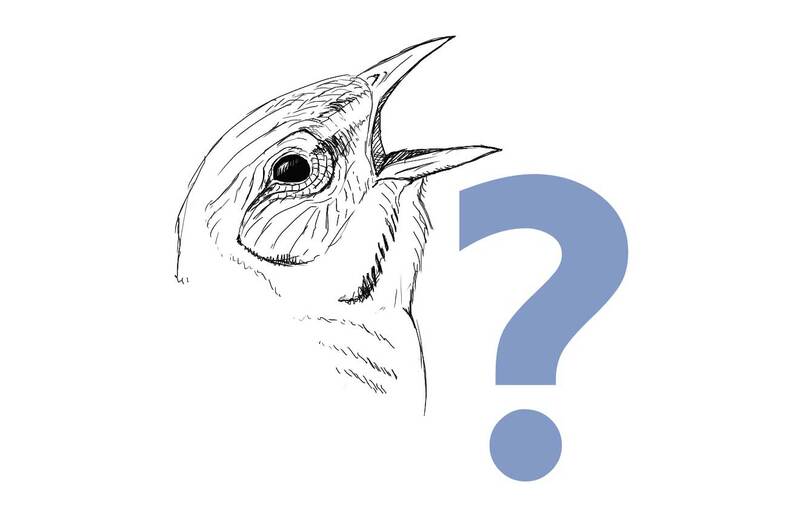 These questions have been explored in a paper recently published in the academic journal Proceedings of the Royal Society B, entitled Evidence for aggressive mimicry in an adult brood parasitic bird, and generalized defences in its host (WE Feeney, J Troschianko, NE Langmore and CN Spottiswoode; 2015). In their words, the relationships between parasite and host ‘generate remarkable and diverse reciprocal adaptations and counter-adaptations, and comprise among the best-characterized examples of coevolution in nature’. An example of this is that adult hosts are hostile towards brood parasites and are more likely to eject eggs from their nests if they see an adult brood parasite loitering around near their nests. Could the uncanny resemblance between cuckoo finches and harmless bishops allow the former to hide in plain sight? Through ingenious and meticulous experimental manipulation, these researchers have now gathered the first evidence that this deception is intentional. In the Choma district of southern Zambia where the team’s study sites are situated, around 19% of Tawny-flanked Prinia nests are parasitized by Cuckoo Finches. Female cuckoo finches remove at least one prinia egg when laying their own egg in the prinias’ nest; additionally, the young Cuckoo Finch is large, fast-growing and voracious, and quickly outcompetes its prinia ‘siblings’. The prinias have evolved a number of defenses against this, including highly polymorphic eggs. If prinias could identify adult female cuckoo finches approaching their nests, they could potentially chase them off with mobbing and alarm calls and avoid being parasitized. Using museum study skins, the research team compared and quantified the similarities between cuckoo finches; bishops and widowbirds; and other members of the Viduidae family such as female whydahs and indigobirds. This is a much more complicated business than holding one specimen in your left hand and one in your right. Using standardized photographs, and a camera specially modified to capture UV and IR light, nine patches of colour were carefully assessed. What was the conclusion? Cuckoo Finch females more closely resemble the unrelated, non-parasitic female Euplectes bishops and widowbirds than they do their parasitic relatives. This is already pointing towards mimicry, but the team also wanted to assess prinias’ reaction to parasites in the field. As such, they presented 15 prinia breeding pairs with models of female cuckoo finches, male cuckoo finches, female bishops or male bishops, which were placed on conspicuous perches near the prinia nests. From observation hides, the aggressive response (or lack thereof) of the prinias was recorded, and recordings made of their vocal protests. Furthermore, the team assessed the response of 51 prinia pairs after seeing cuckoo finch/bishops near their nests, by replacing a prinia egg with an experimental foreign egg. The results? Prinias did not discriminate between female cuckoo finches and female bishops, and mobbed both with gusto. Interestingly though, prinias were less aggressive towards male cuckoo finches and male bishops. 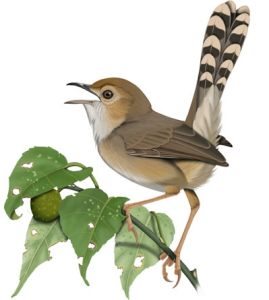 In addition, about 60% of prinia pairs rejected eggs after seeing a female cuckoo finch or female bishop (model) near their nests. Furthermore they ejected the correct (experimental egg) in the vast majority of cases. What is the biological theory behind these results? Firstly, the resemblance between female cuckoo finches and female bishops is the result of brood parasite-host coevolution, and not convergent evolution or shared ancestry. But if prinias as unable to distinguish between harmless bishops and harmful cuckoo finches, why do they then respond aggressively to both? This may be the result of the consistently high predation pressures at the study site. Prinias know that cuckoo finches are brood-parasites, but because they cannot tell them from bishops, they take no chances and try to chase both from their nesting territory. If cuckoo finches were much rarer, the prinias would presumably ignore them and the bishops. Young hosts are also more naïve, and may be more easily deceived by the cuckoo finches. Perhaps this phenomenon has been widely overlooked up until now. Two examples that spring to mind are the featureless brown honeybirds in the genus Prodotiscus. Except for their white outer tail feathers, these small parasites resemble a number of other harmless LBJs. As their name implies, Drongo Cuckoos Surniculus lugubris closely resemble drongos, which may be beneficial. Cuculus cuckoos bear a close resemblance to Accipiter hawks. Perhaps there are other examples, not necessarily related to parasitism, but which may convey some sort of advantage to the mimic. For example, perhaps the rather placid Fiscal Flycatcher Sigelus silens benefits from so closely resembling the feared and aggressive Southern/Common Fiscal Lanius collaris. The same might apply to e.g. Southern Black Flycatcher Melaeornis pammelaina (mimic) and the Fork-tailed Drongo Dicrurus adsimilis (model), or the Temminck’s Courser Cursorius temmincki (mimic) and Crowned Lapwing Vanellus coronatus (model). Can you think of any other examples? Congratulation to Claire and her colleagues for producing another ground-breaking paper and adding to our limited knowledge of the fascinating world of brood parasites. 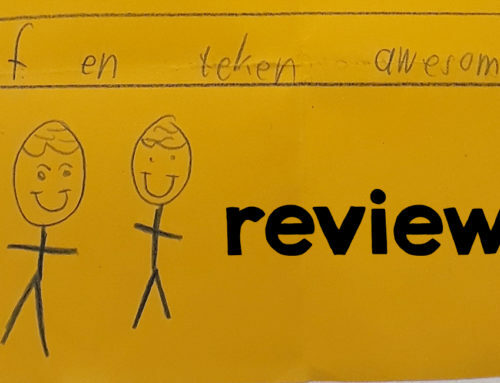 I made a tiny contribution by providing the illustrations for their paper, but I am glad that I did so, because I have thoroughly enjoyed reading about their adventures in Zambia. On a more personal note, I have always suspected that there was some deception at play between cuckoo finches and their hosts, and I’m glad that there is now some sound scientific evidence to support this theory. The Cuckoo Finch is oddly built with a dumpy body, long claws, a short and slightly rounded tail with narrow, pointed central feathers and a beady eye positioned high on its head. It also has an abnormally massive bill with a unique shape: the culmen is straight, the tip is rather blunt, the sides are laterally flattened and the cutting edge is very sharply angled downward. 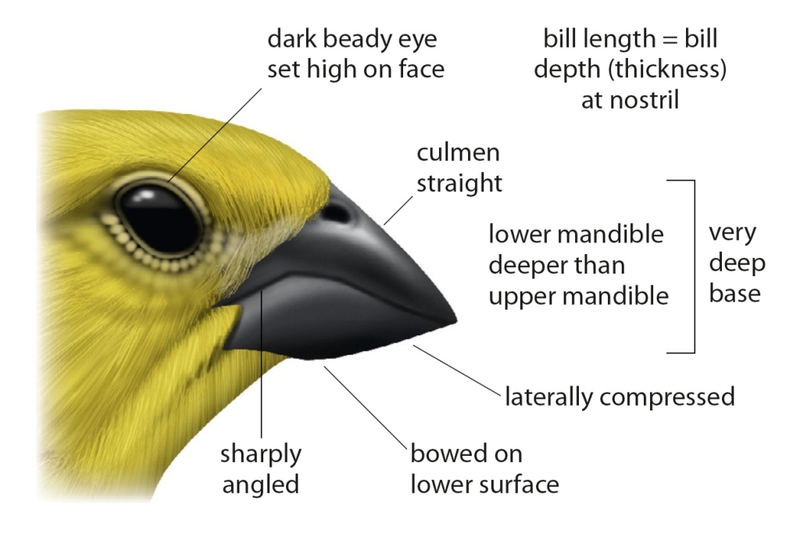 The breeding male is exceptionally bright yellow (eye-catching). This bright plumage is not acquired through moulting but through wear: the duller, greyish feathers tips of fresh (non-br.) plumage are gradually worn off to expose the brightly coloured feather interiors. Could be confused with a weaver but has a shorter tail, often some streaking on the flanks, a shorter, stubbier bill and dark (not red, pale brown or pale) eyes. Could also be mistaken for a canary but has a shorter tail that is slightly rounded (tails often forked in canaries), a darker and much heavier bill, and flight is straight and fast (not undulating and leisurely). Some females can look almost identical to bishops or widowbirds and are easily dismissed as such, especially as they sometimes forage together in mixed flocks. The most reliable feature to look for is the Cuckoo Finch’s short, heavy, deep-based bill May also show a hint of the typical viduid head pattern, e.g. a darker band above the eyebrow and a paler central crown stripe. Juveniles often confound the unsuspecting as they may be seen being fed by their (much smaller) foster cisticola parents. Juveniles are similar in structure to adults, but have 2-toned bills and neatly scalloped or scaled, rich orange-brown upperparts. Cuckoo Finches are generally uncommon and are best sought in moist grasslands adjoining wetlands, especially where good numbers of their cisticola and prinia host species are present. Males tend to perch conspicuously on favourite call-sites e.g. shrubs, trees, wires or fences, from where they give a wheezy, swizzling song. ABOVE: The Cuckoo Finch has a unique, heavy bill, that is quite unlike any weaver, bishop or canary. Illustation by Faansie Peacock. ABOVE: Foreign eggs may be rejected by the host if not closely matched to its own. Eggs of the Cuckoo Finch vary to match those of its suspicious hosts; in this case, Tawny-flanked Prinia. Illustration by Faansie Peacock.